OpportunityNJ Co-Chairs Michele Siekerka and Tom Bracken today announced the speakers, agenda and goals for the first Affordability Summit, to be held on Sept. 18 at the First Baptist Church at Lincoln Gardens in Somerset. The event, which is expected to be attended by hundreds of state business leaders and residents, will feature a keynote address by former New Jersey Secretary of State Rev. DeForest Soaries, as well as presentations from Steve Van Kuiken (Senior Partner at McKinsey & Company); Dr. James W. Hughes (University Professor and former Dean of the Edward J. Bloustein School of Planning and Public Policy at Rutgers University) and Tom Byrne (Founder and Managing Director of Byrne Asset Management). Following the presentations, attendees will be invited to participate in breakout sessions for brainstorming discussions centered on tax reform, workforce development and jobs, regulation reform and infrastructure. News media panels, involving several New Jersey reporters, will also be part of the program. The aim of the Affordability Summit is to synthesize the priorities and concerns of New Jersey’s business community to help shape a new Affordability Agenda for the two main gubernatorial candidates. Both Lt. Governor Kim Guadagno and Ambassador Phil Murphy have been invited to the event, as have all members of the New Jersey State Legislature. Two years ago, more than 500 business and political leaders came to New Jersey’s first Business Summit at the Borgata Hotel in Atlantic City. During this two-day event, participants discussed how they could work together to solve key issues thwarting New Jersey’s economic growth. Many of the organizations involved in the Business Summit formed OpportunityNJ (ONJ), a non-partisan, grassroots coalition dedicated to promoting action to make New Jersey more competitive and affordable for everyone. With no direct ties to political parties or government, ONJ serves as an independent voice to provide data-based education about New Jersey policy actions – and to support policies that encourage job growth, affordability and prosperity in the state. 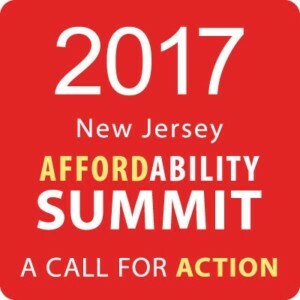 Interested participants for the Sept. 18th Affordability Summit are encouraged to register online at www.opportunitynj.org. To help offset the cost of the event, there is a $50 registration fee. Registration will begin at 8 a.m. on the day of the event, with the Summit beginning promptly at 9 a.m.
Reporters who are interested in covering the event should contact Bob Considine at bconsidine@njbia.org (609-858-9502) or Scott Goldstein at scott@njchamber.com (609-989-7888, ext. 113).